Chinese flatbread, called “Shao Bing” in Chinese, is a baked, layered flatbread with sesame on top. 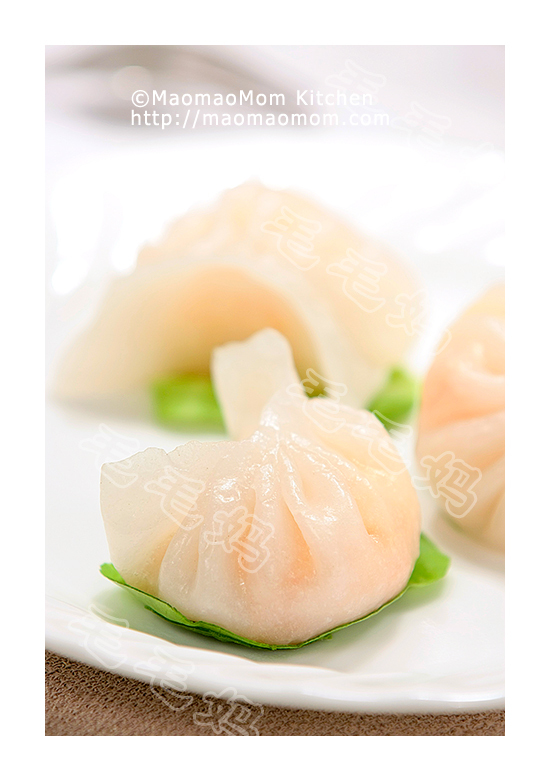 A variety of stuffing can be made with Shao Bing, for example, stir fried egg, pulled pork, or five-spice braised beef, and served like a sandwich. 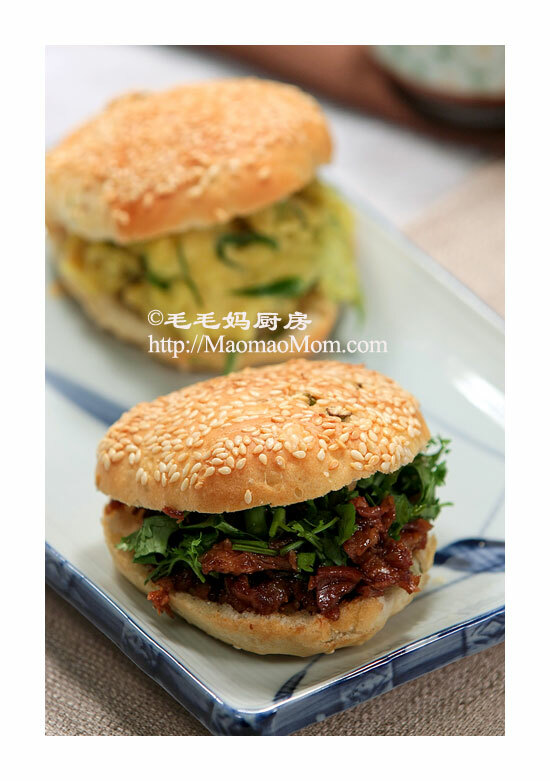 Shao Bing is a very popular breakfast choice in China. It was one of my favorite foods of my childhood. It was my birthday this past weekend. Weekends are always busy for me and this one was no exception. We bought fresh meat and vegetables at a nearby farm, did laundry and house cleaning. We then went to a sushi restaurant for lunch to celebrate that I am getting one year younger! For dinner I made Chinese flat bread with pulled pork, topped with chopped fresh cilantro. 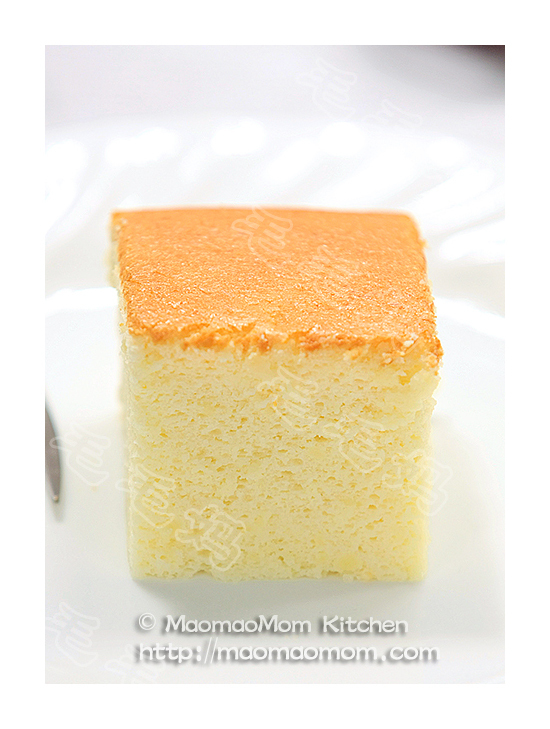 My son Maomao said to me: “It’s so yummy! Mom, I want to learn how to make this dish.” That night my husband and I watched the movie “Julie & Julia”. Meryl Streep was amazing! I was inspired by both characters, their passion for food, their love and dedication to their loved ones. Julie Powell made a decision on her 30th birthday to cook all 524 recipes in Child’s cookbook in 365 days. 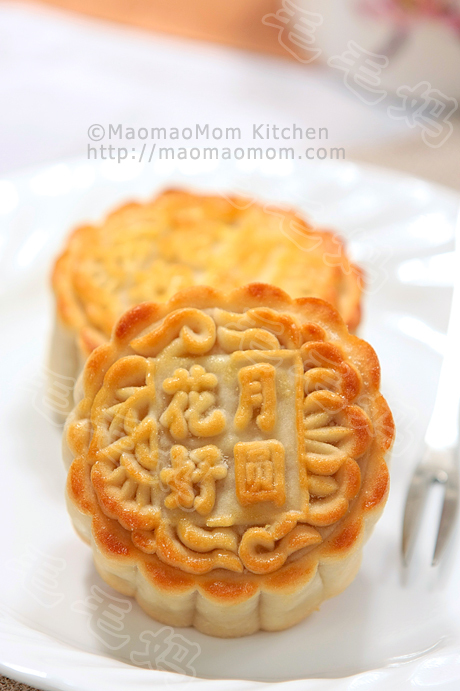 I’ve decided that I will blog my recipes in both English and Chinese. This not only allows my son and his future family to read these recipes and pass our loved dishes through generations, but also reaches a wider audience so that more food loving families have a chance to enjoy them. 14) 10 fresh cilantro, finely chopped. 1: Dough: Combine all ingredients of Ingredient 2) in a container, mix well and let it stand for 10 minutes (picture 1). Pour this yeast water mixture into the Ingredient 1), combine to form a dough. Add 2 tsp corn oil, knead for a minute (picture 2). Cover with a damp cloth and set aside in a warm place until it doubles in volume (picture 4). 2: Oil paste: Combine all ingredients of Ingredient 4) in a small container, mix well with a spoon (picture 3), cover and set aside. 3: Pulled pork: While waiting for the dough to rise, prepare the pulled pork. Place the meat inside InstantPot pressure cooker, fill with boiling water (picture 5), press “sauté” function on“high”, boil for 2 minutes, drain and rinse off. Put meat back into the InstantPot, add all ingredients of Ingredient 8 to 13) (picture 6). Cover the lid and place the pressure valve to “Seal” position. Press “Manual” button and set 38 minutes of cooking time. When the program is done, wait another 5 minutes. Slowly release the pressure then open the lid (picture 7). Stir the meat and press “sauté” function on“high” to reduce the sauce to about 1/4. Take out the cooked meat and dice into small pieces. Place meat in a bowl, pour in meat sauce (picture 8), set aside to keep warm. 4: Chinese flatbread (Shao Bing): Rub some corn oil onto both hands and working surface, knead the dough for a half minute. Divide into 12 equal portions. Roll out each portion into an oval about 10 cm long, smooth on 1/12 of oil paste and ½ tsp chopped green onion (picture 10). Roll from one end to form a cylinder shape (picture 11). Turn 90 deg. and press down. Roll into a rectangle about 4 by 12 cm (picture 13). Then roll from one end to form a short cylinder. Shape with both hands into a ball (picture 14). Dip the ball into the sesame seeds (picture 15), take out and turn upside down (sesame side up) (picture 16), press into a 7 cm circle (picture 17). Repeat for the next 11 portions. Preheat the oven to 370F, place flatbread on parchment paper lined baking sheet (picture 18). Bake for 20-22 minutes until the surface turns golden brown. Broil for 1-3 minutes if needed. 5: Serving: Slice each flatbread open, fill with 2-3 tbsp pork meat and top with some chopped cilantro, serve immediately. Yummy!! Tips：Leftover flatbread can be stored in an airtight container in a fridge for up to 4 days. Toast the flatbread first and fill with stir fried egg or pulled pork (warm up in a microwave oven) for breakfast, you will be satisfied all day long. This entry was posted in Appetizer, 点心, 特色小吃 and tagged 1 Tbsp, 30th Birthday, 365 Days, Appetizer, Cook Time, Corn Oil, Cup Corn, Favorite Foods, Flat Bread, Flatbread, Fresh Meat, Fried Egg, Fried Eggs, Green Onion, Julie Powell, Loving Families, Meryl Streep, Nearby Farm, Pork Hock, Purpose Flour, Sesame Seed, Sesame Seeds, Sushi Restaurant, Tsp Sugar. Bookmark the permalink.